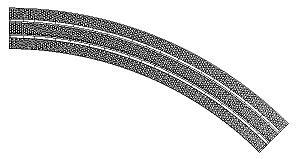 These track panels are designed to fit Peco code 100 rail. Large radius , for quaysides like Weymouth Harbour line. 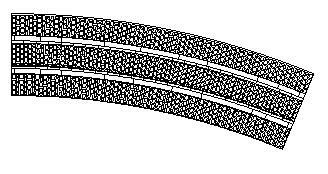 48 pieces of small stone section top make flexi inset track 9mm gauge with plain no stones top. fit code 100 rail.each section is 7mm long. 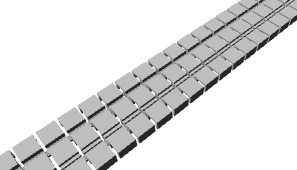 Slimmed down version of flexi inset track sections. No side stones, just middle strip, but rails still held in place. 24 pieces of small stone section top make flexi inset track 9mm gauge with plain no stones top. fit code 100 rail.each section is 7mm long. 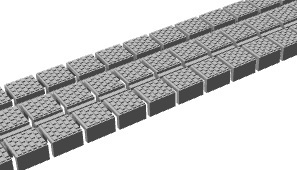 extra small stone surfaced version of inset track for N gauge. Fits code 100 rail. 24 pieces of small stone section top make flexi inset track 9mm gauge with extra small stones for N scale. fit code 100 rail.each section is 7mm long.